The Kerckhaert Steel Triumph nailed on front foot. Liberty 5 Slims lock securely in the shoe. The FPD sponsored shoeing clinic held recently featured Mike Chance, APF CJF and he demonstrated various techniques and concepts for everyday shoeing. Among the products he used were the Kerckhaert Triumph steel horseshoes and Liberty nails from Kerckhaert. We have a short video clip of Mike nailing the Triumph shoes on a front foot. The Triumph steel shoes provide a nice base of support and features include a bevel for ease of breakover and a crease through the toe that offers increased traction. 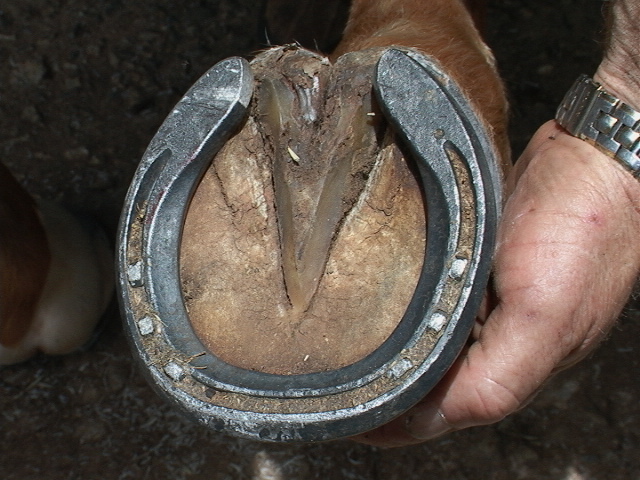 You can see the dirt filled crease in the image- farriers will tell you that dirt on dirt is the best traction in most footing. In addition, the nail holes are punched for American style nails such as the Liberty 5 Slim that he used in this demo. 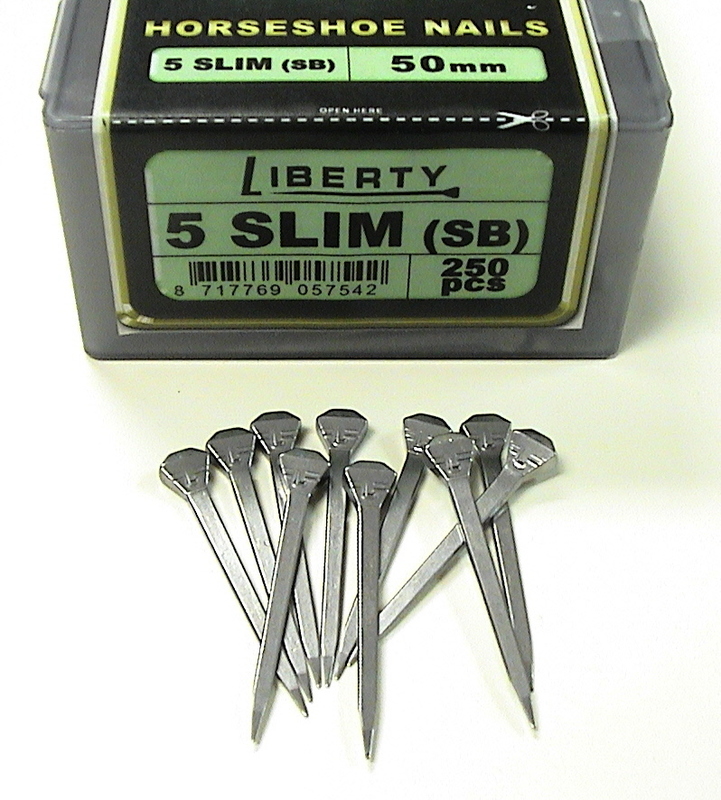 Liberty 5 Slim nails are among an expanding group of Liberty nails now available including E-Head slim nails and 5 City, 5 Combo, 5 Race and 5 Combo Slim. Excellent quality with consistent performance. We also have a clip showing Mike’s clinching and finishing process. The tools he used are all available at FPD dealers throughout North America. You can get more info on all of the products used in his shoeing demo and dealer locations by visiting the FPD website. The FootPro clincher has an angled head to relieve strain on your wrist and allow for a much smoother clinching motion. This entry was posted in Events, Stores, The Hoof and tagged Farrier, horseshoe nails, kerckhert. Bookmark the permalink.